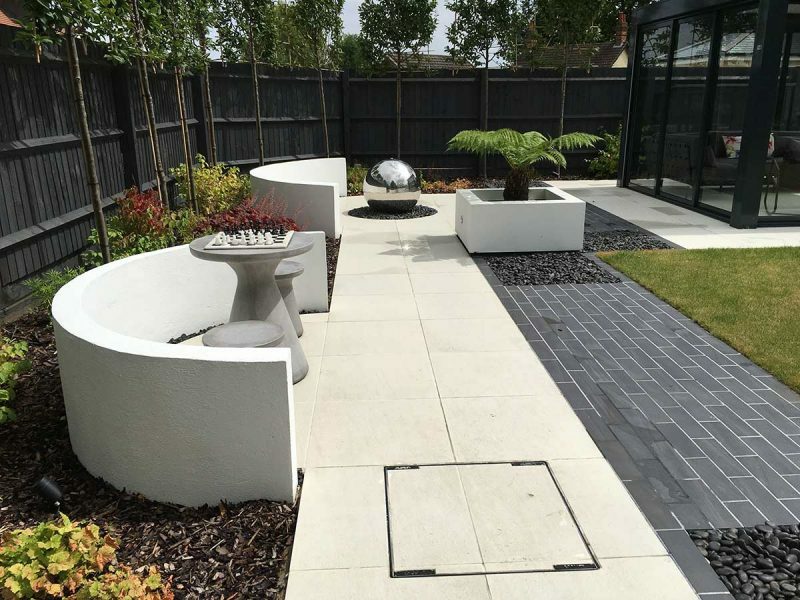 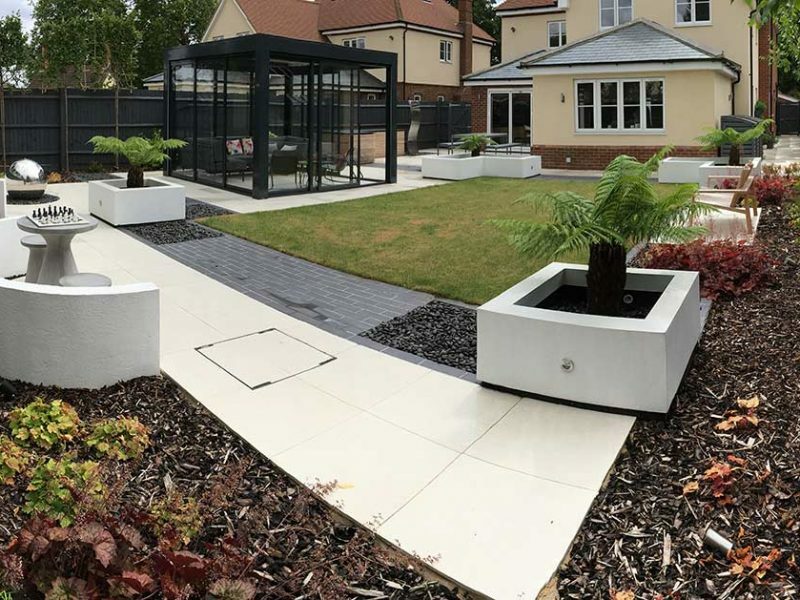 Our customers were looking for a unique area to relax in their garden, with plenty of space and a place to enjoy no matter what the weather. 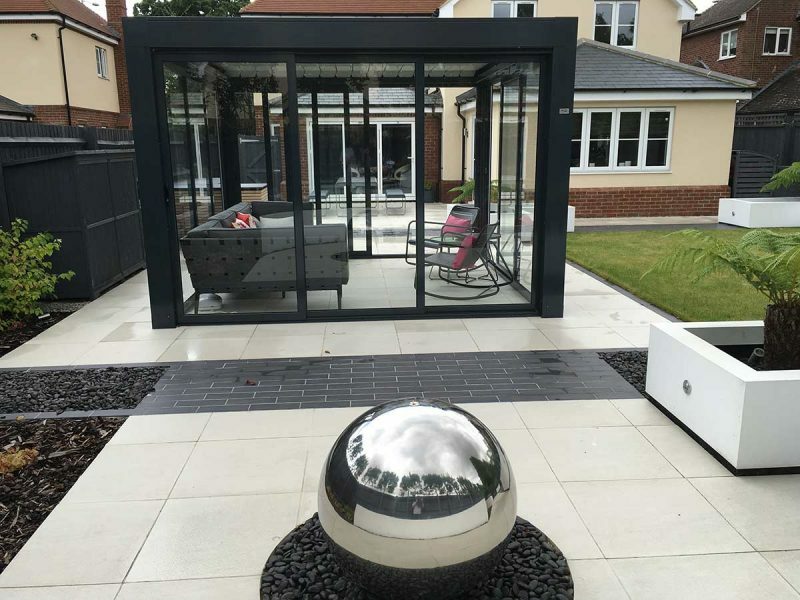 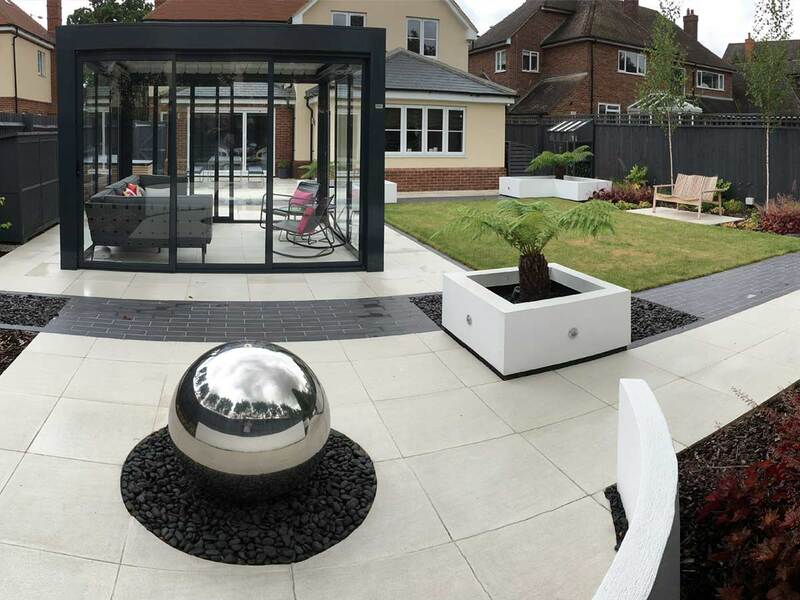 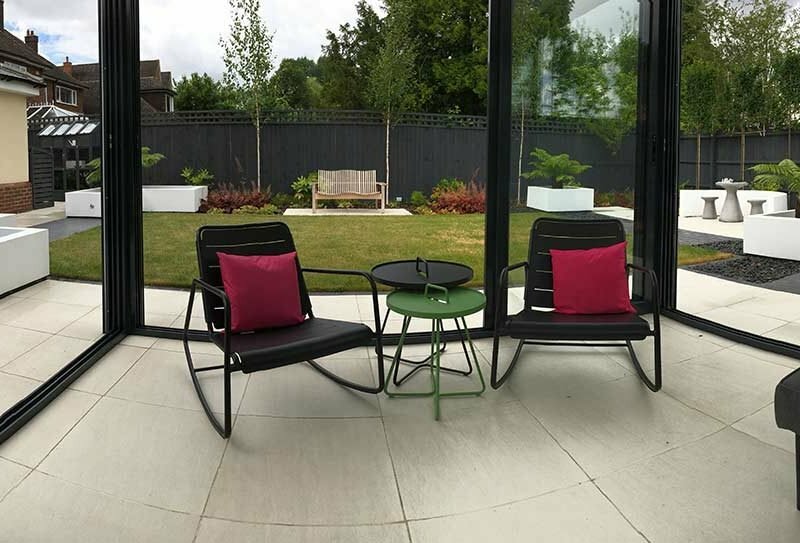 We created a beautiful garden room constructed of aluminium frames and glass units, based on a paved area. 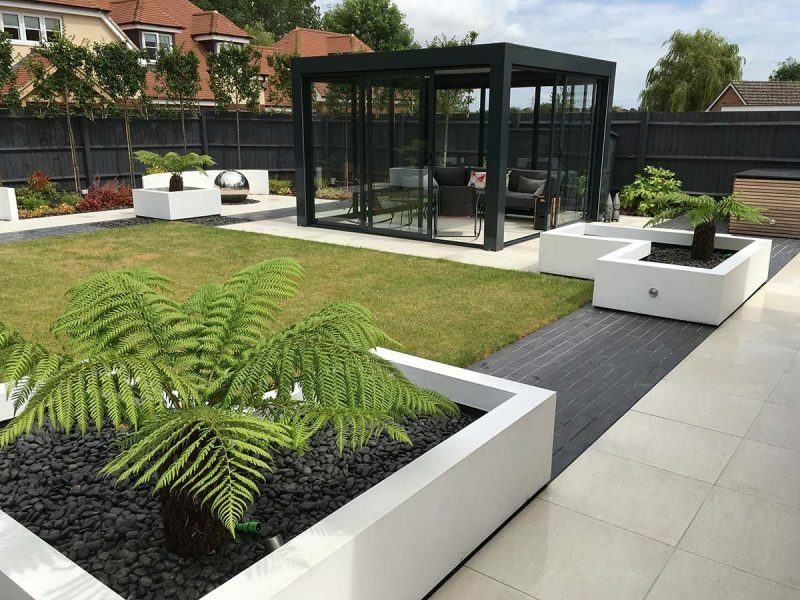 This included a seating area, giving our customers the ability to shelter from the sun and rain as required. 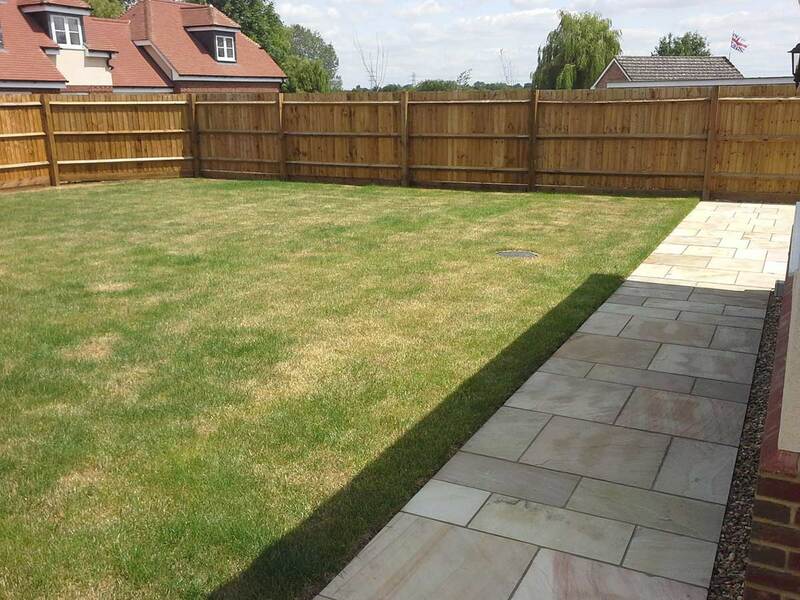 We wanted to keep the space our customers had with their previous garden, and so ensured there was lots of grassy area left for them to enjoy with space for a bench and potted plants.